If you have wavy hair, you know how it can be somewhat difficult to manage. Waves tend to drop their shape easily, and your fine strands can be prone to tangles or knots. However, you can fall in love with your waves! Understanding your type 2 wavy hair can help you embrace your curly waves. Here's how to understand your type 2 wavy hair. This curly hair type tends to be fine in texture, and thin. However, it is relatively easy to handle. You may also find it responds well to heat tools, such as a flat iron or a curling iron to give various textures. It also tends to be relatively shiny and easy to care for. In order to get the best out of your strands, use lighter products for curl management. This includes mousses and gels. Avoid heavy, rich, buttery products. Use a diffuser when drying to enhance your natural wave pattern. Unlike 2A, this curl type tends to be more prone to frizz, and doesn't seem to style as easily. 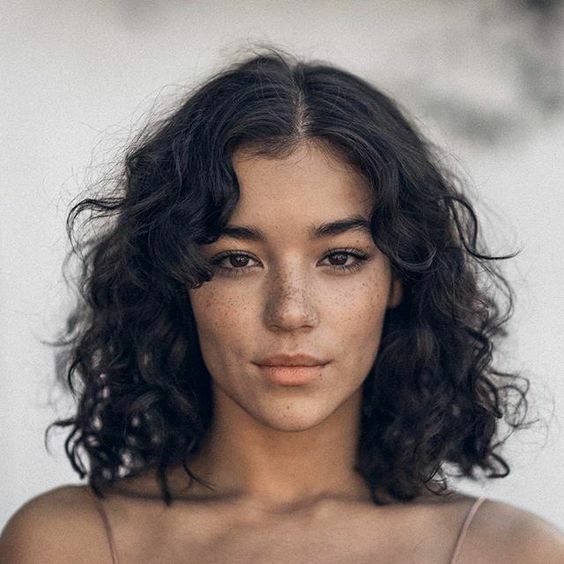 Some 2C curlies find that their strands have an under layer of straighter strands, which can make styling a bit more difficult or confusing, as they see straight hair instead of ringlets. However, other 2Cs have more of a spiral shape to their under layer. This hair type will benefit from a lot of frizz reducing gel. You can scrunch styling products in to create frizz free curls. Cleanse with a gentle, moisturizing shampoo or cowash to remove build up and excess oil without damaging their strands. Follow with a moisturizing conditioner, deep conditioner, or protein treatment. Stylers can include gels, mousses, curl creams, or styling milks. Finally, once curls are styled, and dried with a diffuser they will need to be set. Finish up your look with a holding mist, or light hold hair spray. On off days, mist curls with a refreshing spray to revitalize dropped curls. Got Frizz? Try This DIY Remedy.